Stir Trek is a one-day conference held in Columbus with the aim of sharing the latest techniques and tools for software development. This was the 10th Stir Trek since 2009 and it attracted the largest crowd yet with nearly 2,000 attendees. Improving got the opportunity to sponsor the annual board game night. We brought the fun with a Cinco de Mayo-themed taco bar for Stir Trek attendees to snack on while trying out new games. 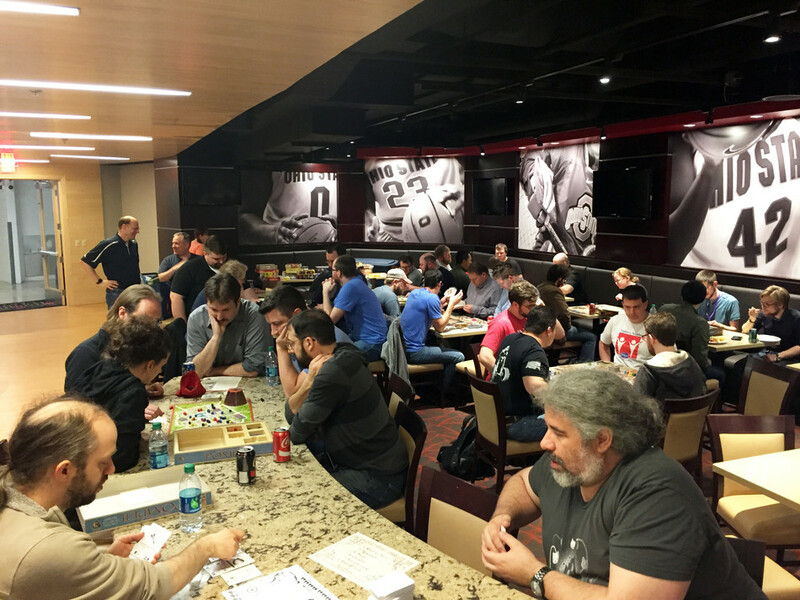 Game Night was in the Board Room at the Schottenstein Center with a taco bar sponsored by Improving. Next up we had Tim Rayburn, VP of Consulting from the Improving Dallas office speaking about “The UX of Voice.” In this talk, Rayburn reviewed the common paradigms of voice-only interfaces like Amazon’s Alexa or Apple’s Siri. Tommy Graves, Consultant at Improving Columbus, spoke about how to respond to disagreements in the workplace for more collaborative and constructive work. Craig Stuntz, Technical Director at Improving Columbus, ended the day with his talk about high-speed bug discovery. Stuntz shared a technique called ‘fuzzing’ that can be used to find security vulnerabilities in Flash. To end the full day of incredible talks and networking, Stir Trek always has a screening with the newest blockbuster. The movie of choice for 2017 was the much anticipated Guardians of the Galaxy Vol. 2. Attendees were able to relax after a day jam-packed with over 40 talks. We had so much fun meeting new faces as they stopped by our booth. We’ll see you next year, Stir Trek! 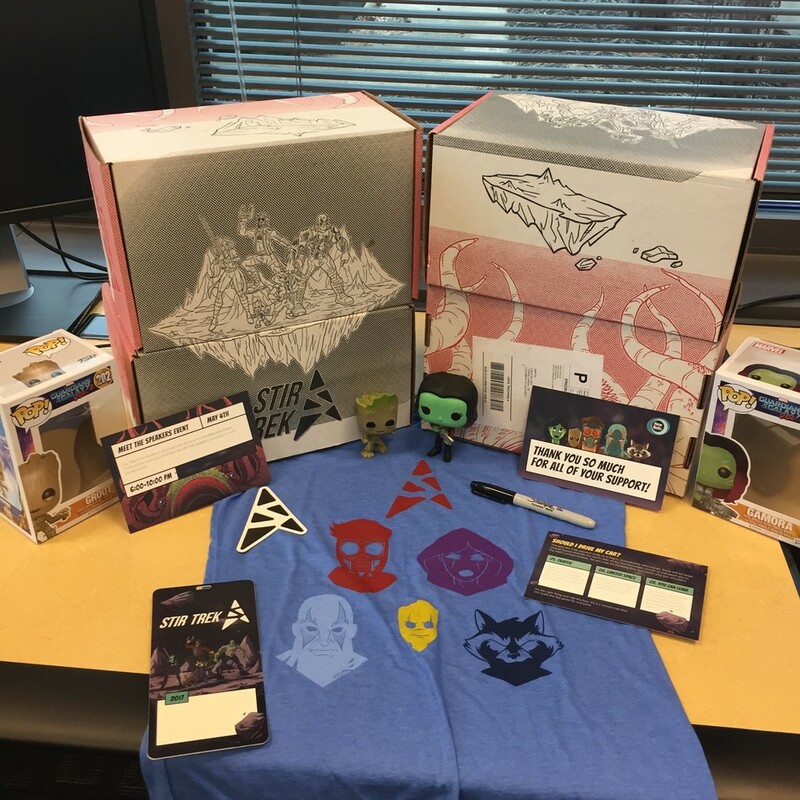 The registration box that was sent to all attendees, featuring a custom t-shirt, name badges, and a “Guardians of the Galaxy” POP! figurine.